In certain manufacturing sectors, food preparation is incorporated into everyday operations. In such settings (restaurants, factories, takeaway vans and so forth), keeping the temperature of cooked foods diligently controlled is a vital step in ensuring that finished products are safe for consumption. In order to achieve this, a thermometer or temperature probe calibrated to within a fine tolerance is an absolute necessity. As such, it is worth being aware of how best to calibrate such devices in order to accurately monitor CCPs and thereby maintain the highest standards of overall HACCP compliance. A key thing to remember is regular calibration. If probes are left un-calibrated for long periods of time, they will become inaccurate and drift increasingly far from acceptable standards, leading to various difficulties, including the manufacturing of non-uniform products, as well as increased risk of contamination and a greater chance of customer harm. The exact frequency with which your probe should be calibrated is not necessarily a fixed time limit, but can rather be calculated in terms of the ‘risk’ carried by non-calibration of the probe. Risk is calculated by knowing the quantity of end products. If batches of ten units are produced at any one time, the probe doesn’t necessarily need to be calibrated between each batch. If batches of 1,000 are turned out, however, the probe certainly will need to be calibrated between batches (and multiple times during production, too!). In other words, you need to know the potential size of a recall – and the damage this could do to your business – in order to understand the ‘risk’ associated with probe calibration; and thereby know the frequency with which you should calibrate it. We have elsewhere considered the Do’s and Don’ts of calibrating a temperature probe, and recommended heat source calibration as an ideal approach. However, if such an approach is not available to you, the next-best thing is the more basic ‘ice and boiling water’ process. As explained below, it relies on the assumption that the temperature of the ice is zero degrees centigrade whilst that of the boiling water is one hundred. In order to check the calibration of your thermometer and probe using this method, you would need a second ‘reference’ thermometer and probe to test them against. The reference set would need to have a calibration certificate (renewed annually) which is traceable back to a recognised national standard, such as UKAS. In order to ensure the reference unit is fully-functional throughout the year, both its components should be stored together and used for nothing other than calibrating other thermometers and probes. To ensure they aren’t used in error, it’s a good idea to store this set in a dedicated, clearly-labelled box. 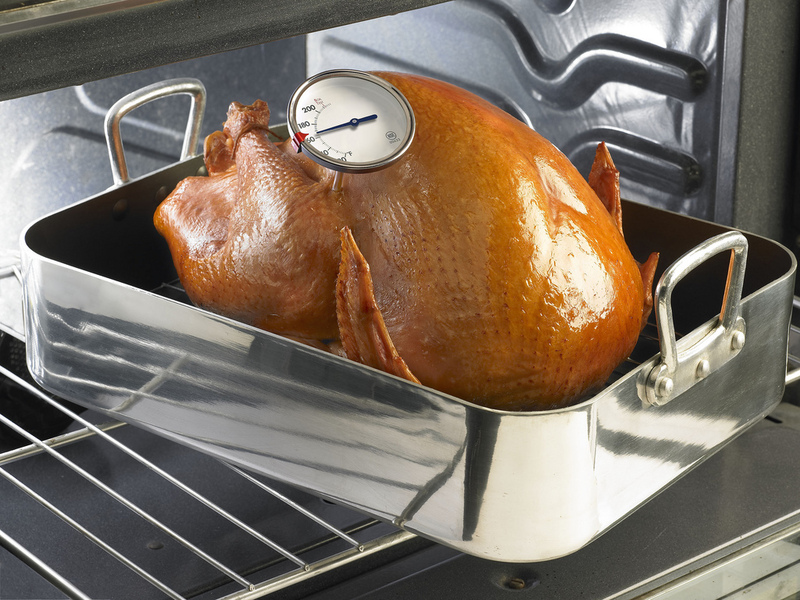 Generally, it’s a good idea to calibrate your thermometer at similar temperatures to those it will tend to encounter in its normal food preparation or manufacturing operations. Therefore, ‘ice and boiling water’ is a satisfactory method for many manufacturers. To begin, place the probe of the reference thermometer into either the ice or boiling water (depending whether you usually prepare hot or cold food), along with the thermometer which is being calibrated. Check the readings on both units. There should be a 0.3 to 0.5 centigrade tolerance on both thermometers if they are working correctly. This is called the ‘standard deviation’. If a reading appears on the tested thermometer which is within 0.5 centigrade of that which appears on the reference thermometer, most establishments will accept the former as falling acceptably within calibration requirements. Therefore, standard deviations greater than 0.5 degrees would be failed. Record the readings of both units, as well as the serial number of the reference thermometer; the latter step will enable you to prove that the calibration is traceable to a national standard. Bearing in mind the above steps will help ensure the accurate calibration of your temperature probes and the corollary benefits this brings to your overall operations in the preparation and manufacture of food.